Kim, a supervisor-level CPA at a mid-sized firm made an SOS call to me recently. She left a message telling me she had just had a surprisingly disappointing semi-annual performance review and she didn’t know what to do. Andrew, a senior executive at a Fortune 1000 corporation was bewildered after his last performance discussion with his boss. He didn’t know why his overall performance had been downgraded since his last performance evaluation a year ago. It caught him completely blindsided. In both of these cases, the immediate reaction for these highly talented professionals, one in the public accounting arena, the other in corporate America, was to start looking for his/her next position in a new firm!. That’s how easy it was to turn these talented professionals off to their company. When I explored further with these two individuals to find out what had occurred during these performance discussions, I completely understood why they would each feel the need to look elsewhere for career opportunity. 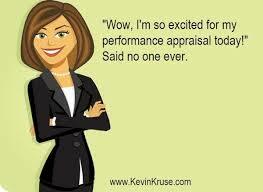 The performance evaluation forms and their processes were a hot mess. As this article’s corresponding image expresses, these two professionals are not unusual in employees finding performance reviews mostly a big downer, and often unsettling and confusing. Why is this so? Firms spend so much valuable time, money, and resources on developing performance criteria and competency measures. What’s so different today about this whole feedback process that feels like the Berlin Wall is about to come crashing down? First, we have a dearth of talent, so it’s a giant war out there for good talent. No one wants to lose a great potential employee or current one. Second, younger employees’ mentality about feedback is way different than the more senior leaders in companies and firms. Younger employees are used to immediate feedback, and thrive on it. Finally, as a business advisor and coach to accounting, law, and executive professionals, I am stunned and disheartened by how little attention, training, and continuity in feedback delivery is exhibited by managers and reviewers. It’s little wonder that employees find the whole darn experience a total turn off. This is exactly why firms and companies should, yes, even must reinvent the entire process, and now. Let’s look at what cutting edge corporations such as Accenture, Microsoft, The Gap, Google, Yahoo, and now Deloitte are doing. Essentially, they are either eliminating or entirely transforming the standard performance review system . Accenture has done away with old-school evaluations because as CEO Pierre Nanterme said in an interview in The Week , “the outcome is not great. This is why the majority of annual or semi-annual reviews wind up as anxiety-producing and annoying for both deliverer and recipient rather than a source of inspiration and SPECIFIC information for how the employee can advance and improve. Yet, I would not endorse ditching performance reviews. Why? 1. Younger, and even more senior employees, thrive on being understood and valued. They crave recognition and feedback. It’s the kind of feedback and the way feedback is currently disseminated that is so destructive. 2. Professionals yearn and work best/achieve more when there is good structure and clarity in career advancement. 3. Almost everyone struggles with how to take in criticism and advice for improvement. The performance discussion, done right, can be a powerful tool in helping an employee go from ho-hum to dynamo, from grinder to great leadership. 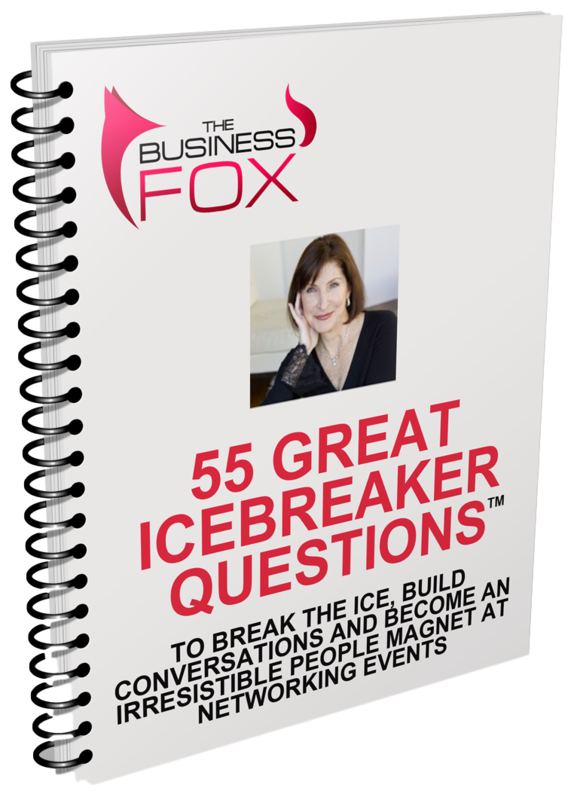 Too often difficult or awkward conversations are avoided or delivered poorly. Feedback is too infrequent/not documented so it’s coming from memory, and lessens the impact and value to the employee and ultimately the company or firm. Feedback often comes as a shock or surprise for the employee. So if the old-school review system is broken and irrelevant for today’s world, what new feedback techniques and models should be developed to more deeply engage, motivate, and optimize talent? The most important first step starts with the leadership of your company or firm. Without the commitment and belief of the Managing Partner, CEO, President, or whomever is in the top leadership role, a reinvention can’t succeed. Once buy in is established at the top, it can be filtered and generated throughout the organization. The second key ingredient is education. Feedback deliverers- mentors, managers, leaders – must learn how to effectively communicate feedback. Just because someone is a manager or partner or VP doesn’t mean he or she has the kind of communication skills needed to impart regular, motivating, yet honest feedback. And if they can’t learn to say it right, they shouldn’t be in the feedback process. If these 3 areas are transformed, employees will not ever need to be, nor should they be, blindsided or confused during a performance review meeting. Not only will a reinvention of your performance review program newly inspire and motivate your employees, you will surely prevent seeing that revolving door swinging closed on some of your most treasured talent. (For more detailed information on “SNAPFormance” performance review reinvention, contact Nancy Fox, nancy@thebusinessfox.com).